Marilyn here with a couple more of the Butterfly Sweetheart images which are available at Bizzy Bec's now. This one is Tiger Lily. 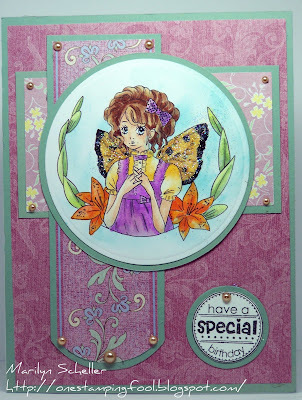 The sentiment is a stamp from Whimsy's Party Mini Seals also from Bizzy Bec's store. I don't see them in stock right now but if you contact Bec, she can order them in. Those are terrific stamps... deep cut red rubber that give such a nice clean image every time. The little champagne pearls are also from Bec's store. 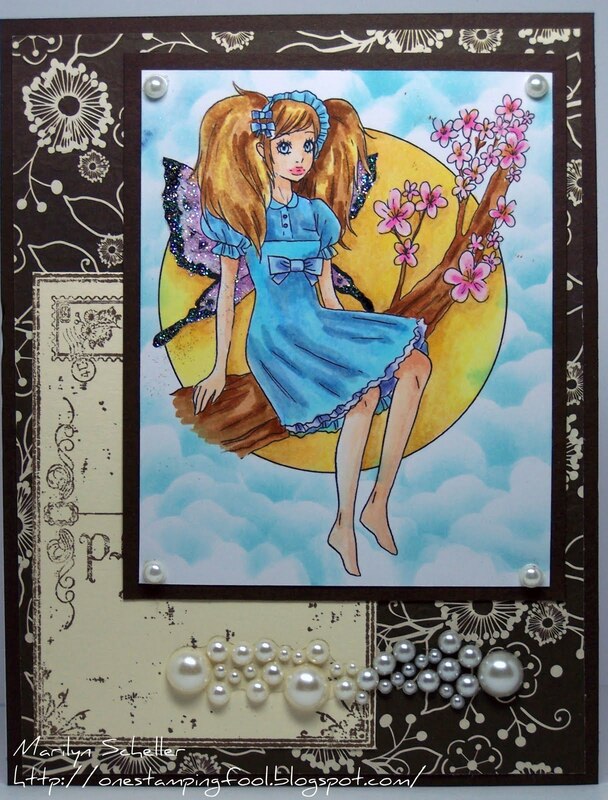 Cherry Blossom is also from Bec's Butterfly Sweethearts. 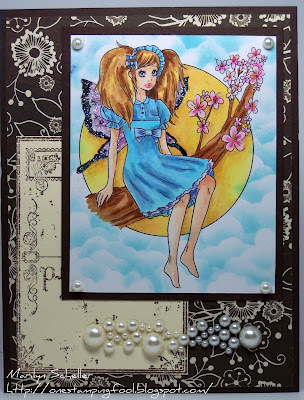 The postcard is Whimsy's Vintage Postcard stamped with brown ink onto vanilla coloured cardstock and also available at Bizzy Bec's.